Novice visitors to “The City of Lights” often experience a sense of paralysis when they land at Charles de Gaulle International Airport or arrive at Gare du Nord. Paris has so much to offer that it overwhelms the mind. What to see first? What to see, period? Some points of interest in the capital of France are obvious. Others however, coalesce in a busy sea of attractions and present serious contemplation on the part of active travelers. What to leave out and skip for another visit? What if there is no other visit? Impossible to see it all, even for the most eager and intrepid tourist, Paris packs more sights per capita than perhaps any other city. With a population that hovers just over 2.1 million people (12 million in metro Paris), Parisians are incredibly fortunate. A spectacular array of museums, monuments, parks and heritage architecure makes the city unforgettable and a perennial favorite. No wonder why more than 40 million people a year come to Paris from the rest of Europe and around the world. Visiting Eiffel Tower, an iconic place of attraction in Paris is one of those tourist spots to visit in Paris which you can’t miss at any cost. It is one of those landmarks in Paris which represents the elegance and contemporary Paris. Since the time it got unveiled it was unpopular and it attracted 220 million visitors. Now, it is pretty hard to imagine Paris without this iron tower, the Eiffel Tower. While most people come to this city for romance, there’s a darker side to be found… This underground burial complex houses six million skeletons dating to the 18th century. Stacked in endless corridors, it’s a fascinating and haunting place. If you have the courage, it’s one of the most interesting places in Paris to see. The Pantheon's in Rome right? True, but it’s also in Paris. At least, the Paris Pantheon is in Paris. Makes sense, if you think about it. The Paris Pantheon is a church turned mausoleum and resting place of France’s famous. Little visited, it’s a magnificent building and ranks as one of the best things to do in Paris. A monument to the decadence of royalty and a constant draw for vast numbers of visitors, Versailles is simply astonishing. And if the massive opulent palace isn’t enough, the gardens will simply blow your mind. Representing ostentatiousness beyond measure, it’s clearly one of the very best places to visit in Paris. 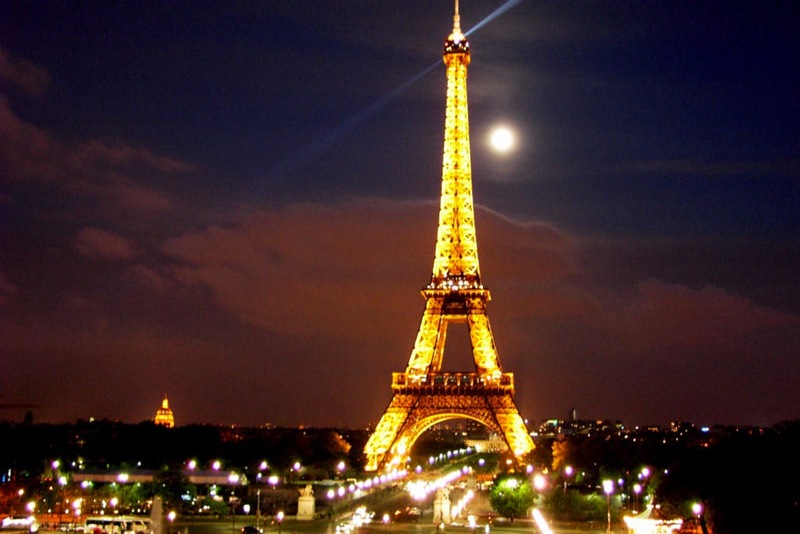 Paris is the capital city of France. Often first visits to any place are pretty daunting. Visitors stumble upon places for the incredible history and beauty of such places. At first, it is pretty difficult so as to start from where and what to see. Visitors are quiet confronted with a long list of various monuments and museums. Today, here we shared some must see places to see in Paris which are worth exploring and some of them are chief tourist attractions as well.Hope you enjoyed this. Oh how I wish I could visit Paris someday. My dad has been there a couple of times on business, and I always get jealous when I see his beautiful trip photos. Wow nice place to visit! I wish me and my fam can travel the world too! !